Native to Australia. 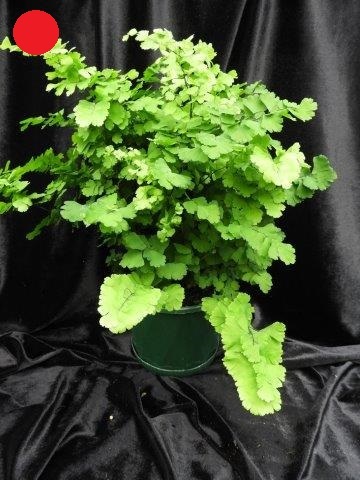 This creeping maidenhair is perfect for growing in the garden. It enjoys a semi exposed position getting bright light or part sun. It will fill in spaces between other plants with its wandering habit. 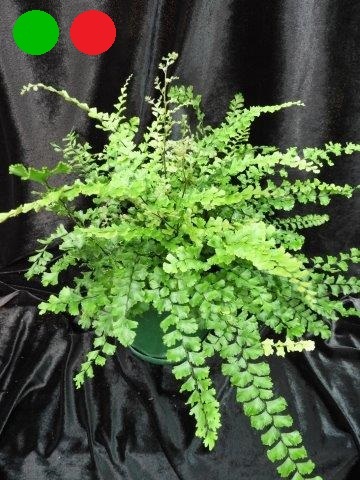 A fine maidenhair fern, suitable for indoors or out in protected positions. Due to its fine leaflets it is not really suitable for garden planting but is great in vertical walls and pots. Loves regular watering and fertilizer. 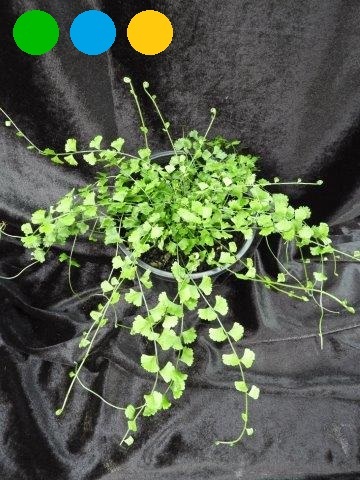 This maidenhair has very fine teardrop shaped foliage. 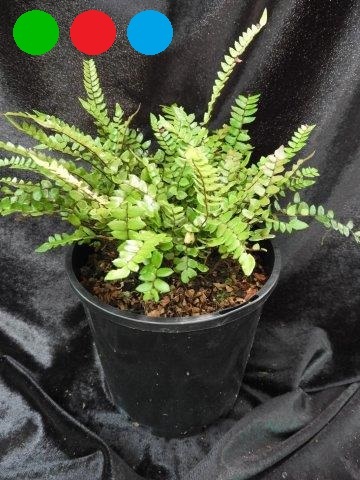 It is a very delicate looking fern that is best suited to a pot situation, indoors or in a protected outdoor space. Regular fertilizer is necessary. 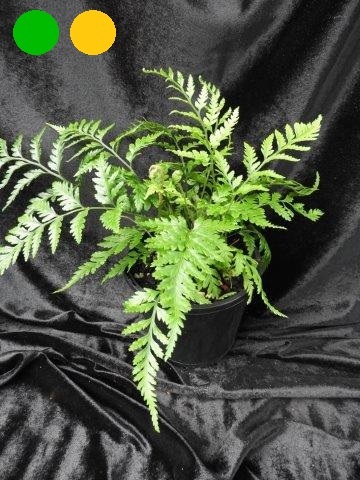 This fern is quite common world wide and is the most commonly grown in cultivation. Requiring good moisture, good light and regular fertilizer it is a great indoor plant or easily grown in tubs or pots outdoors. 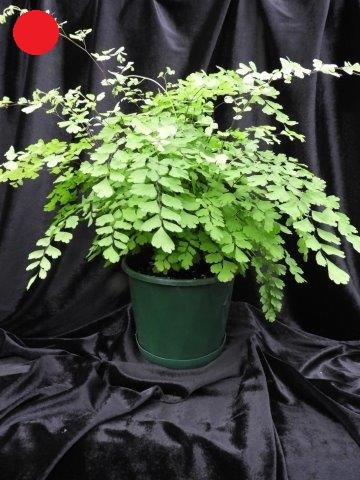 The Friz-Luth maidenhair has a triangular shaped leaf form that is more erect in nature. 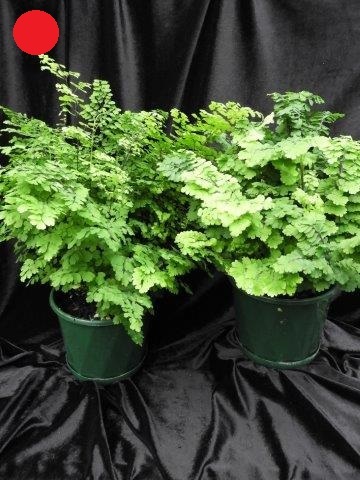 A hardy and easy to grow maidenhair fern with the compact form also available. The compact variety usually has bifurcation on the ends of the fronds causing it to be more draped. New Zealand native. Erect fronds to 30cm tall. Very hardy and easily grown in moist filtered light conditions, indoors or out. Soft pink new fronds open out to pinky/bronze new growth and harden off to a deep green. Native to Australia. 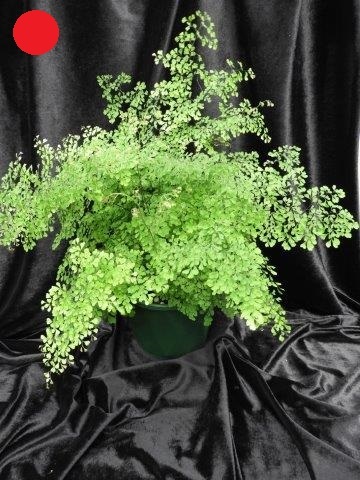 With leathery fronds up t/o 30cm long this maidenhair is suitable both as an indoor or outdoor plant. Fronds are very erect and new growth emerges with a pinkish-bronze tinge before hardening off to a deep dark green. Easily growing in moist sheltered positions. Native to Australia. 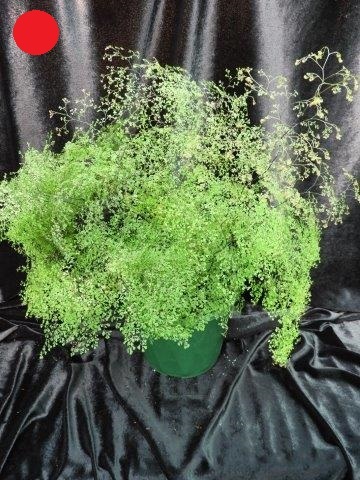 This is a softer version of the rough maidenhair fern. 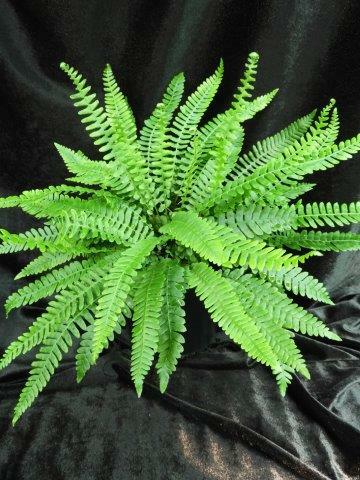 Fronds are less erect creating a very pleasing shape as an indoor plant. Leaflets are slightly larger with a little ripple along the edge giving them a frilly appearance. New growth emerges with a pink-bronze tinge, adding a little colour variation before hardening off to a dark green. This is the smallest leaf form maidenhair fern. It is very delicate and has a mist like appearance. It is a must for the maidenhair collector. New growth has a pinky orange hue before becoming a mid-dark green. 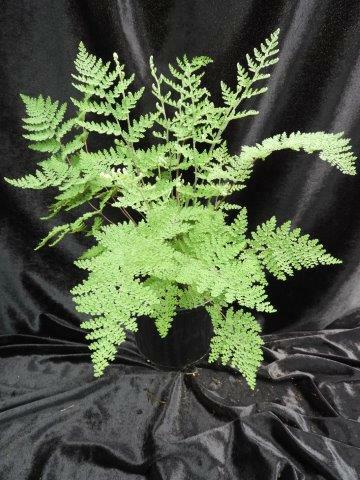 This Japanese fern is very pretty with delicate looking foliage but is in fact quite tough. Growing to about 70cm high and massing up with thick lacey foliage. It is called Upside Down fern due to the mid rib and extending ribs on each frond being on the top of the leaflet rather than underneath. If growing in a pot watering should be into the edge of the pot rather than over the plant. 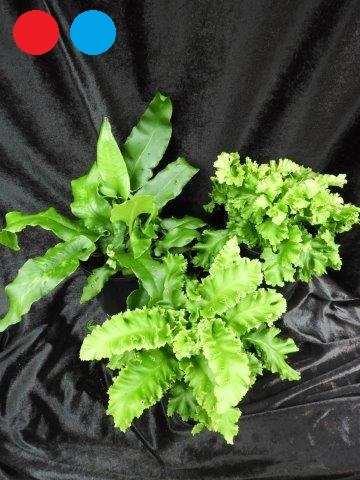 An Australiian native fern that has a number of variations – plain leaf, broad leaf crested, narrow leaf crested, lasagne and Lady Victoria, varieties. 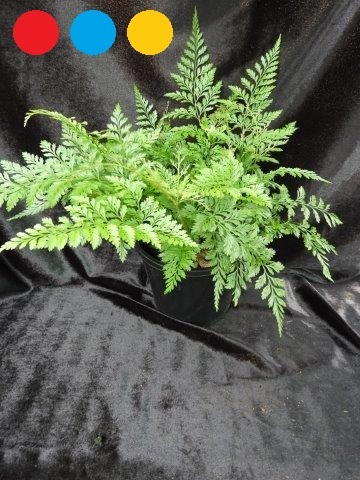 Birds Nest ferns are easily grown in pots or in the garden where moisture is a little scarce. 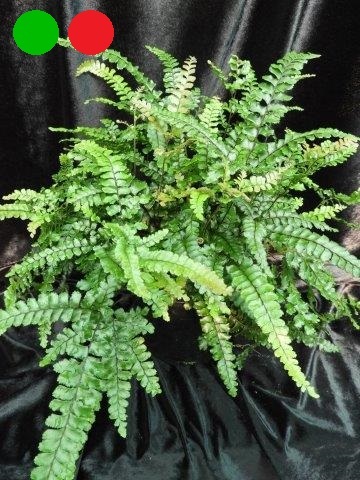 This fern is prone to over watering or heavy soil so requires good drainage. 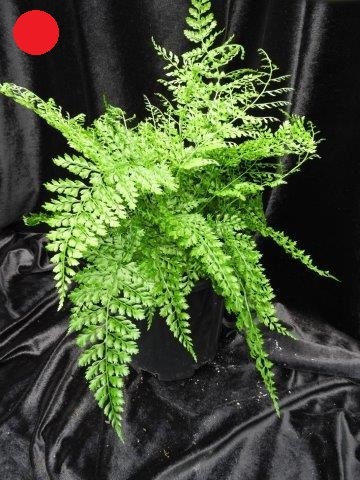 It likes good filtered light conditions and can grow quite large becoming a dominant feature of your fern garden. An Australian native this plant grows to 50-70cm high with bright green foliage. The segmentes fronds arch over giving the fern a lovely draping quality. Plantlets appear on the margins of the older fronds. Suitable for sheltered gardens, hanging baskets and pots. 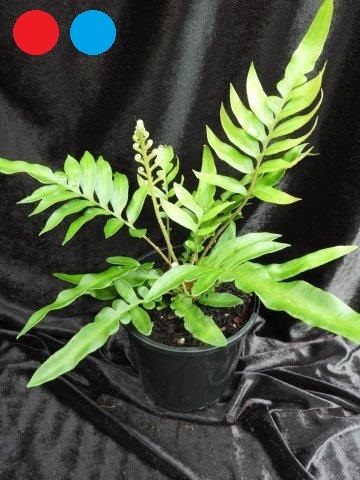 Another New Zealand hybrid member of the hen and chicken fern family. 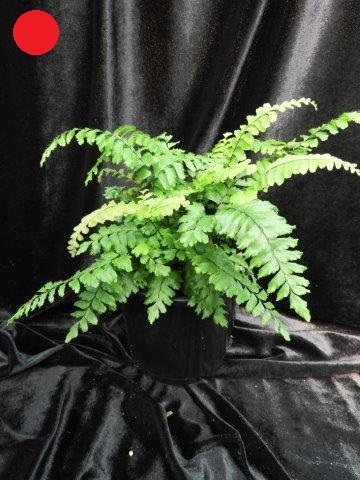 This fern has broader leaflets than most of the other varieties but still maintains it glossy appearance. Bulbils on more mature fronds can be planted to produce new plants or colonise the garden. A shady, moist position is preferred. 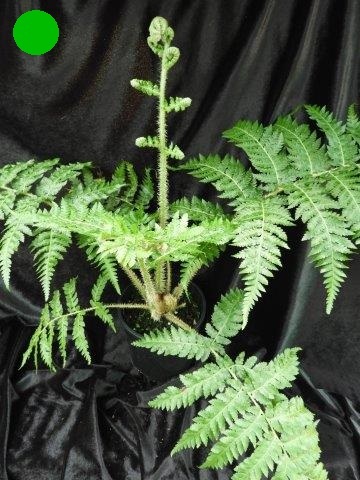 This fern from New Zealand’s Stewart Island is a dwarf form of hen and chicken fern, growing to 30-50cm high. The leaflets are very segmented in appearance. 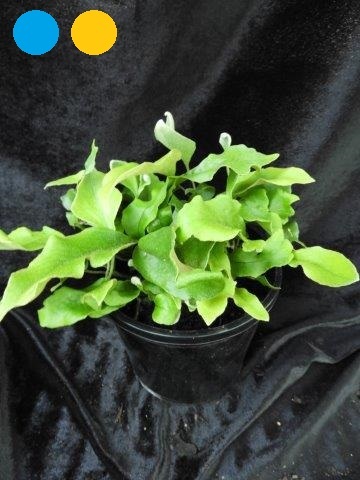 Easy to grow with abundant plantlets that can be allowed to colonise an area. 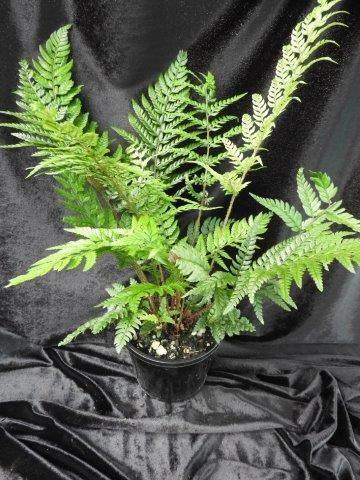 This attractive fern is a hybrid from Lord Howe Island and New Zealand varieties. Growing to about 75cm high with semi erect foliage and producing plantlets on the margins of the fronds. It can be kept as an indoor plant or in a shady or filtered light area of the garden. An attractive Australian native with trailing fronds to 30cm. This plaant will form new plantlets on the frond ends forming a cluster around the parent. Suitable for vertical walls, hanging pots, rockeries and shallow soil areas as well as the garden. A North American fern growing in dense tufts to between 25-40cm high. 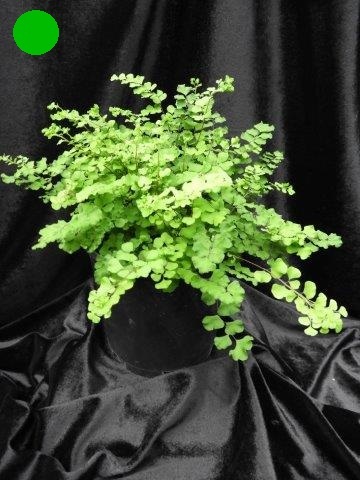 Leaf structure is reminiscent of maidenhair fern but much easier to grow. Happy to stay in a pot indoors or out but also happy in a fernery or shady part of the garden. A pretty little fern of a mid green hue. This European fern has fronds to 40cm long. It has delicate, fleshy elongated heart shaped leaves and is suitable to be grown indoors or out. Its small root system means it can be kept in a relatively small pot for extended periods. It is suitable for terrariums. It comes in different leaf forms – plain, crested and undulated – and the plants look very different. 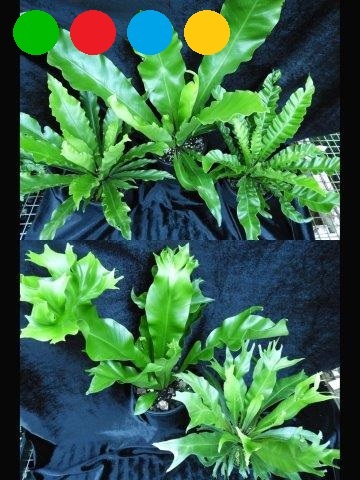 This is a cold hardy fern from China. It has handsome coloured fronds with a purple/plum midrib and medium green foliage. 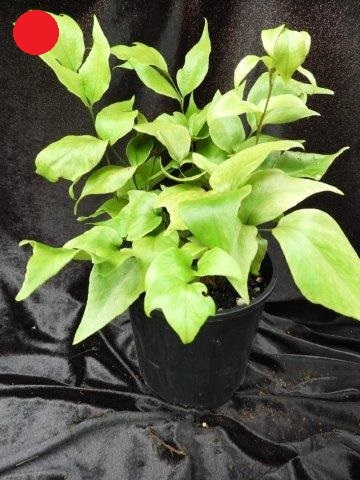 Grows to approximately 60cm high and enjoys filtered sunlight and humus, moist soil. It makes a nice feature. plant. This Asian fern has pretty purple streaks through grey-green foliage. It can grow to 75cm high and forms large clumps. This fern is deciduous in Winter then reappears in early spring to provide a point of colour and contrast in your fern garden. A lovely addition for the avid fern collector. plant. Australian native fern. 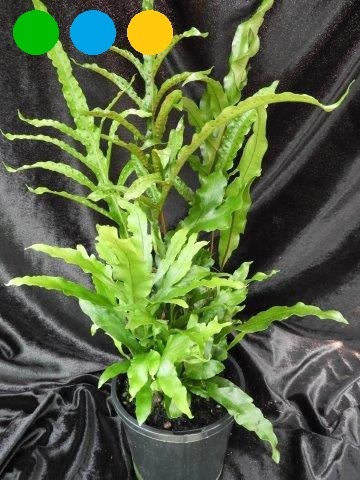 A low growing fern to 20cm that will develop plantlets around the parent plant form a growing colony over time. Attractive ovoid leaflets of a medium bright green with an abundance of Spring growth. Fertile fronds stand erect. Prefers a shady filtered light position with good humus soil. plant. 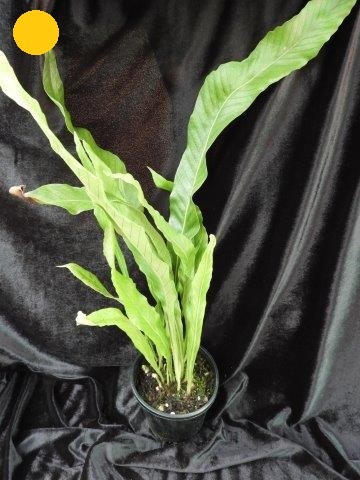 While this is a tropical fern it will grow well in a protected garden area with good light and moisture. It is suitable to grow in pots on a verandah or pergola area or indoors. 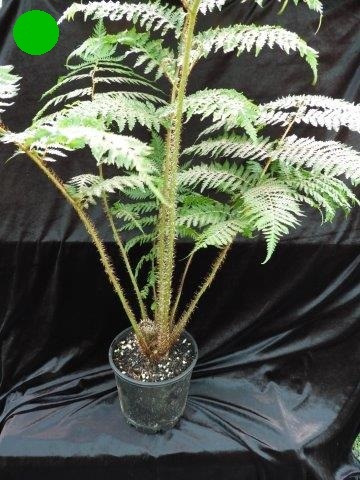 Considered a dwarf tree fern it will get to about 1.8 mtr high with a narrow dark trunk and bright lime green crown. Australian native fern. A hardy fern with semi erect fronds to approx.  1 mtr. This fern can produce offshoots to form a small colony. Older plants will develop a small ‘trunk’. Easily grown and very hardy in moist, humus soil with strong filtered light. Australian native fern. This fern has narrow arching strapy fronds to approx. 50cm. New growth is coloured pink to bronze and hardens to a deep glossy dark green. Older growth will fork along the sides of the fronds. It enjoys moist, humus soil and dark shady conditions. Native to Australia, New Zealand and South America. 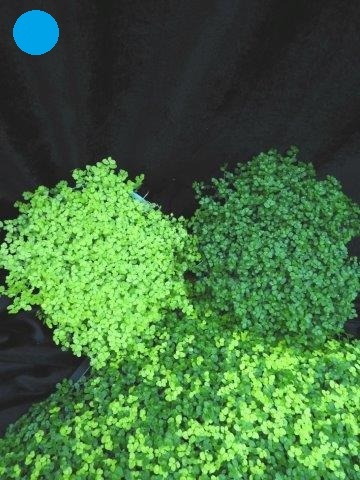 This is a low growing creeping fern that will form a mat of short foliage to 15cm high. Pink tinges to the new growth will harden to a deeper green on maturity. 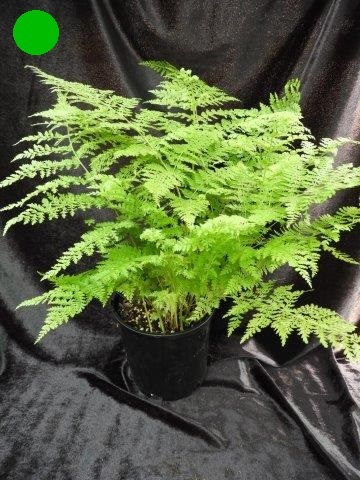 A great fern to plant as a ground cover, filling in around and under larger ferns or tree ferns. Likes moist soil and filtered sunlight. 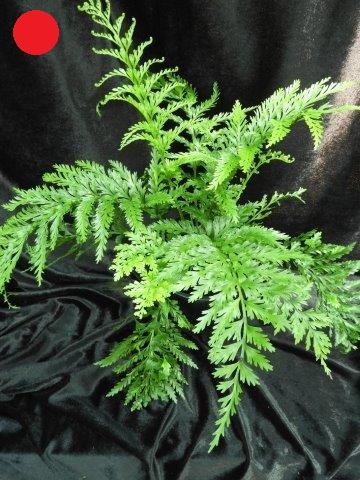 A low growing Asian fern with spreading foliage, forming a rosette to 50cm across. Erect fertile fronds in Spring. Suited to growing in baskets, pots and rockeries in moist soil and filtered light. Originating in Madagascar and South America. This fern is best suited to slightly dryer conditions in Australia. It produces large leathery fronds tinged pink when new and a bright light green at maturity. Can be grown in large pots or in the ground to approx. 1 mtr high. Likes good light. Australian native fern. This fern has large leathery fronds to 1 mtr tall. New foliage starts with pink curls and opens to bronze/red new growth, becoming dark glossy green. Likes a shady position with moist, humus soil. Australian native fern. 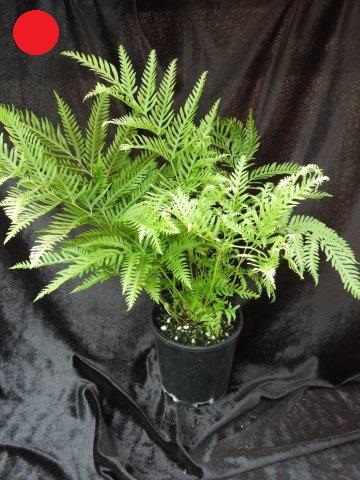 This is a natural hybrid and is a more vigorous growing fern than either of its parents. 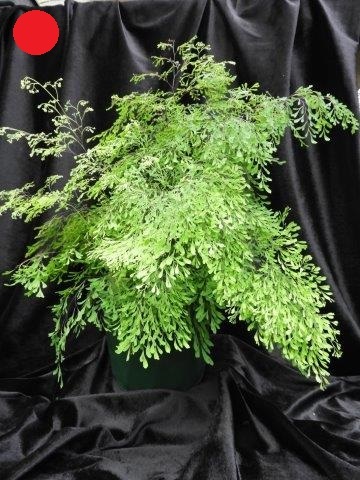 It has good colour in the new growth and softer foliage than the Hard Water fern. Growing to 1mtr tall it enjoys filtered light and moist conditions. This fern has fine foliage that is water repellent. This means that water beads on the foliage giving its other common name of Morning Sun Fern due to the fact that the dew or moisture gathers and shines like diamonds on the foliage. Easily grown in the ground or a pot with morning sun and moist, humus conditions this will make a lovely addition to any fern garden. New foliage emerges with a fine white downy appearance and matures to a mint green hue. Australian native fern. This scrambling fern is very adaptable and will grow in exposed positions with limited water to shady positions with good moisture. 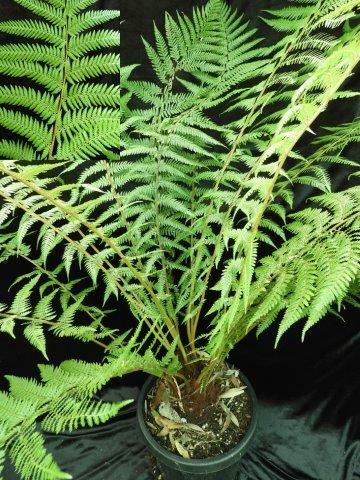 Its height is dependent on the amount of moisture available and can get to 1.5mtr, being one of tallest ground ferns. It is a soft braken fern. Australian native fern. 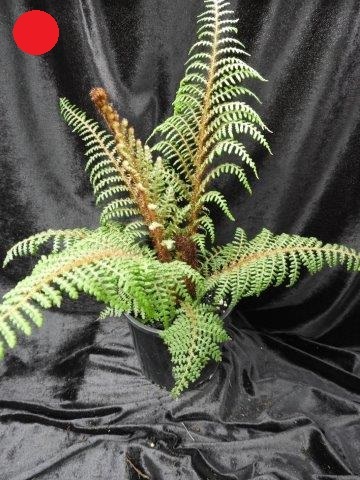 A quick growing tree fern with large arching fronds and dense growth. Native to Victoria, NSW, Tasmania and Sth Australia. Ideal for more exposed positions as it is more sun and frost tolerant when given adequate moisture and mulched well. This fern is the national emblem of New Zealand. A large tree fern with semi erect fronds which is slow growing. It looks at a glance similar to the Australian Soft Tree Fern but has a coarse scaly trunk and a silvery underside to the fronds. This tree fern is a native to Norfolk Island off the coast of Australia. It boast a lovely golden trunk covered in fine bristly scales. Large semi erect fronds are produced throughout the year which makes it a quick grower. It likes to start life in the shade but will grow into a sunnier position if given enough moisture. Native to NSW and Queensland this tree fern has an umbrella type canopy with large arching fronds. The trunk is narrower than the soft tree fern but the markings left by the old fronds gives it a distinct appearance. 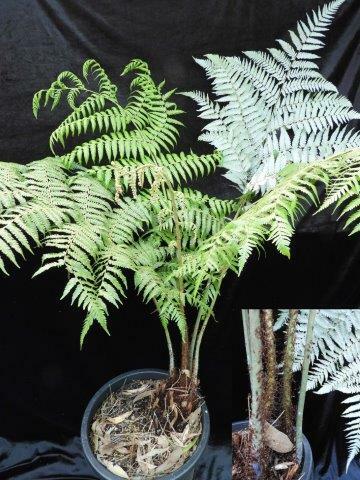 This tree fern is sun tolerant once established and requires regular watering and mulching. 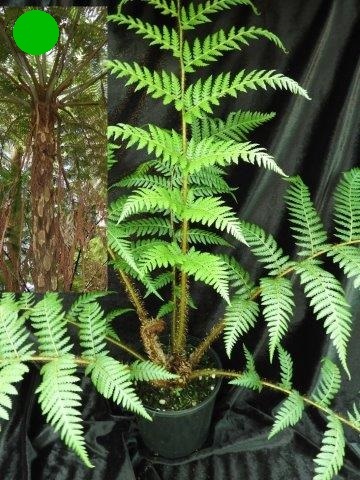 It is a hardy and fast growing, large tree fern. Austalian native fern. 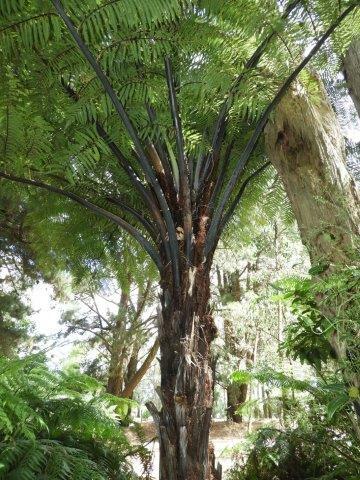 As the common name implies this tree fern has a very slender trunk that is dark brown/black in appearance. With a crown of 1.5-2mtr of bright green fronds. It loves good moisture and filtered light. 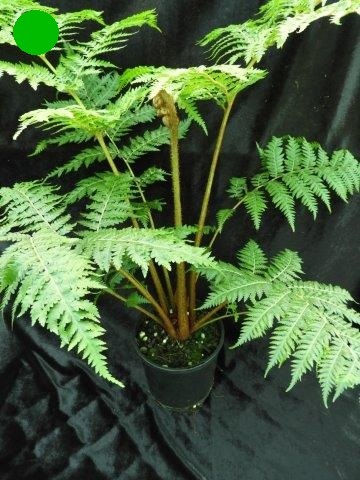 This is the largest of the New Zealand tree fern varieties. 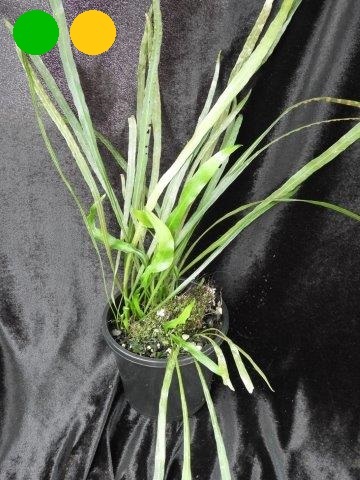 Long arching fronds with a black mid rib contrasting with dark green leaflets. A quick and large growing tree fern. New fronds appear covered in a thick dressing of coarse black scales giving it the appearance of a monkey tail. Like to begin in a shady position but will adapt to the sun as it grows, given good moisture. 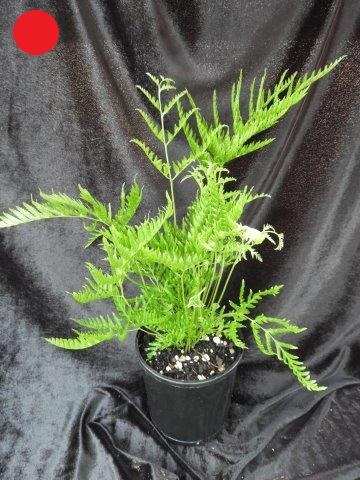 This delicate looking fern is a dwarf tree fern variety that grows to 2 mtr. 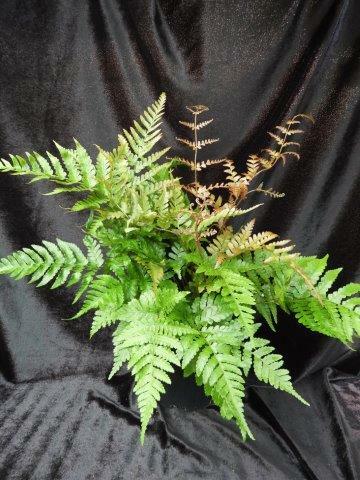 With coppery mid rib and slightly olive colour to the foliage this fern likes a sunny position. 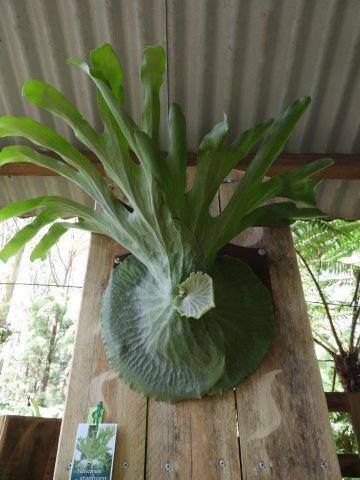 Growing naturally in the highlands of New Guinea it is suitable to grow in pots or the garden but should be protected from frost. Its lacey foliage gives rise to the common name. Keep well watered in Summer. 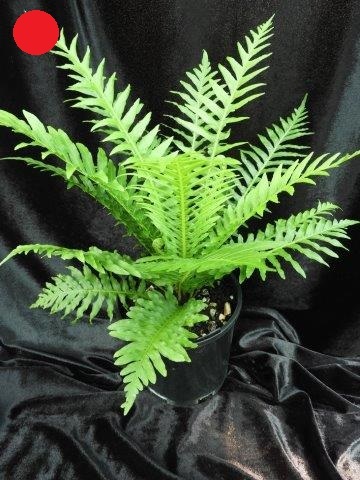 A very popular fern in the nursery industry along with the small and large leaf varieties. 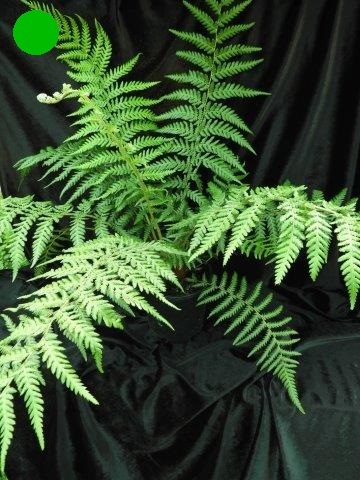 It produces an abundance of dark green, leathery erect fronds which are suitable for use in flower arrangements. A hardy long lived plant that is happy to grow in pots indoors and out or in a sheltered to semi-exposed garden position. Grows to 50cm high. 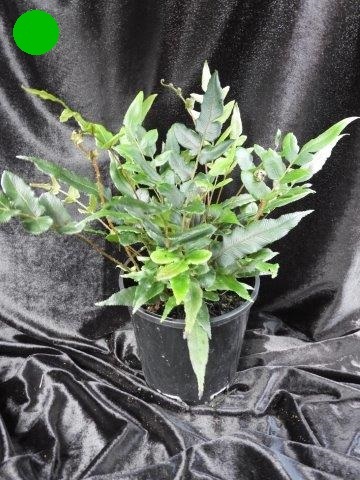 From Asia this is the large leaf Holly fern and is a hardy variety. This plant boast large glossy mid green leaflets. It can be used as an indoor plant but is happy to grow in the garden in filtered light. Keep moist and well mulched. Native to Asia this is a scrambling fern that grows on a hairy rhizome. 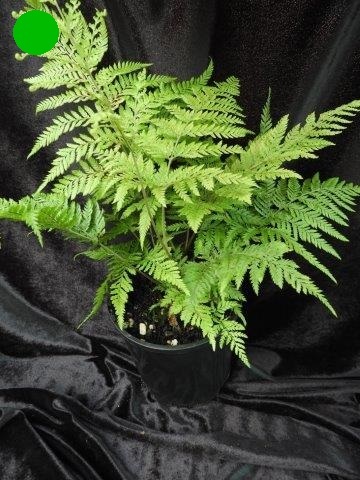 This fern is shallow rooted and loves to fill the nooks and crannies of your garden. It is particularly suited to basket growing or to scrambling over rocks and uneven surfaces. You can also attach it to tree ferns where it will grow over the trunk. Australian native fern. This tree fern is the one most commonly grown in fern gardens, usually brought truncated. Pot grown it is quite slow and will produce a large bushy head of foliage with the trunk taking some time to grow. Likes shady, moist, humus conditions. 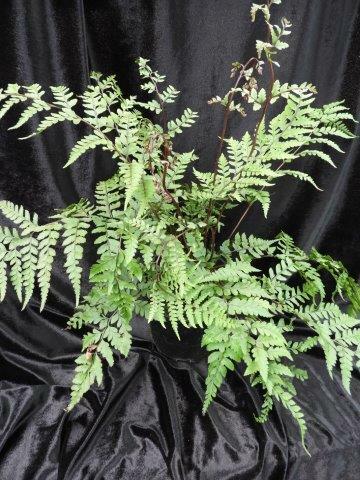 A New Zealand native with dark green leathery fronds up to 2.5mtr long. 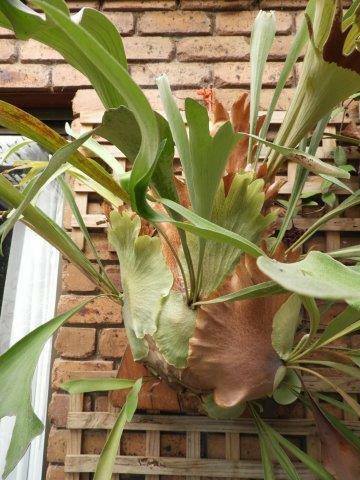 It is a faster grower than the soft tree fern but has a narrower trunk and will grow in slightly more exposed positions. It is also suitable for tubs or large pots. Water well and mulch. This New Zealand native is suitable to grow in pots or the garden. A slender dark trunk supporting a dense crown of 1-2mtr long arching fronds. Good in small spaces or in areas where access is required. Can develop offshoots and form a small colony. Australian native fern. 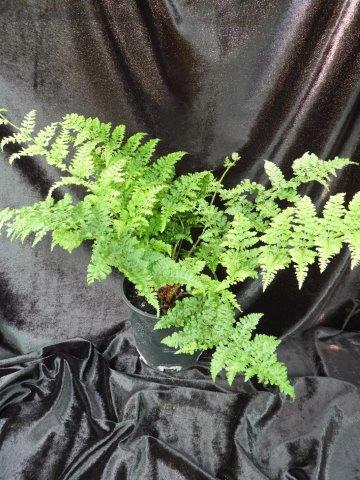 A very hardy fern growing to about 50cm. New fronds are bright red softening to a bright green, then a darker green with age. Suits areas with morning sun. Requires good moisture and humus soil. Australian native fern. This is a finer, multi segmented form of the rasp fern. This form is quite bushy and a vigorous grower. Growing to 30cm high it is suitable in slightly exposed positions but need good moisture and humus soil. A broader leafed rasp fern giving good colour in the new growth. New foliage appears pink/bronze/red before hardening to a medium dark green. Well suited to semi exposed positions. 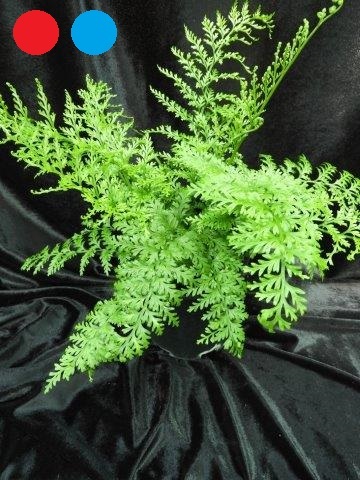 A British cultivar, this fern has very attractive lacey margins to the fronds. Growing to about 60cm it is semi deciduous. Dropping some foliage into the plant to protect the new growth. In Spring and abundance of bright green growth contrasts with the older dark green fronds. A very hardy Asian fern with new fronds emerging ping and opening out to beautiful bronze/pink/red colours and slowly becoming dark green. Easily grown in filtered light it will tolerate very cold conditions and once established will withstand some periods of dryness. It grows to 45cm high. 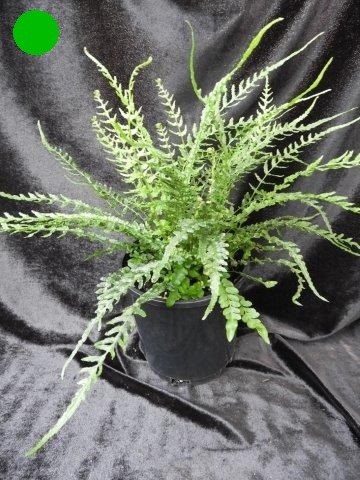 A European fern with medium green foliage to about 70cm high. Soft and dense foliage that can be semi deciduous in Winter to protect the new growth. Lime green Spring fronding is abundant. Australian native fern, mainly growing in Victoria and Tasmania. This fern will grow in very dark shady conditions to high filtered light and is a slow creeping fern which forms large clumps over time. The clumps can be divided to grow in other areas. 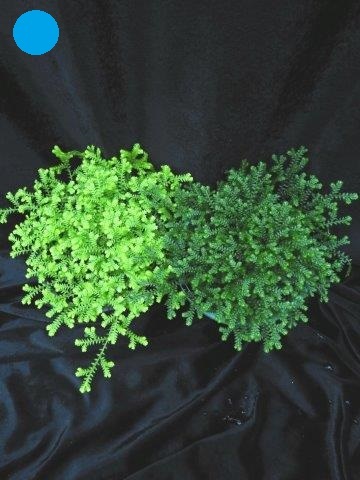 Fine, dark bristly stems are topped by bright green slightly lacy foliage. Not often found in cultivation but easy to grow and a delightful addition to any fernery. 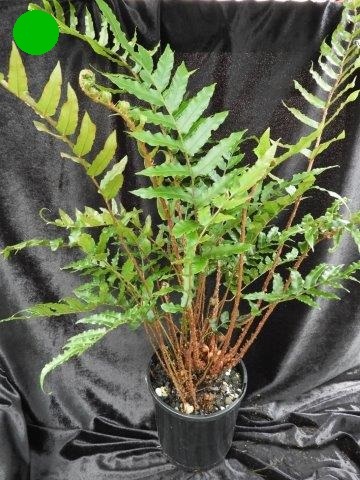 Australian native fern, this plant is an epyphite by nature and loves to scramble on the ground and up the sides and branches of trees and tree ferns. The mid green foliage becomes forked with age and presents a semi upright frond growing into dense clumps and running up the side of taller growth. 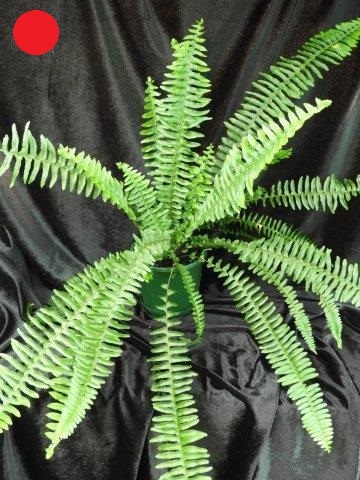 This fern has been grown for many years as an indoor plant. Generally grown in hanging baskets or on pedestal stands to show off its long trailing foliage. Because of its sub-tropical nature it needs to be protected from Winter cold. 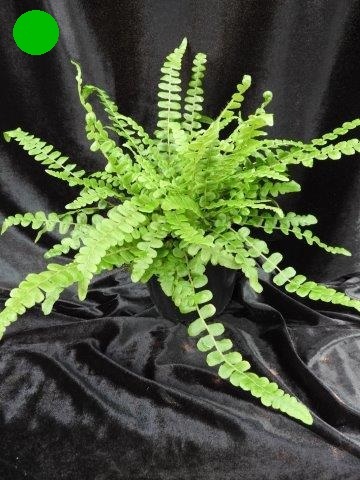 Beautiful bright green trailing fronds draping to over 50cm. Suitable for vertical gardens and pots in protected areas. 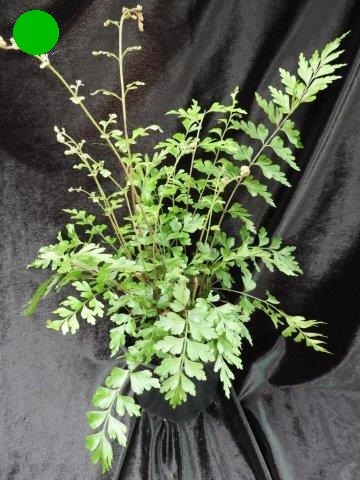 Also known as the carrot top fern this is an attractive fern with finely divided erect fronds to 70cm high. Easily grown in a moist position in filtered light as well as baskets and pots, indoors or out. 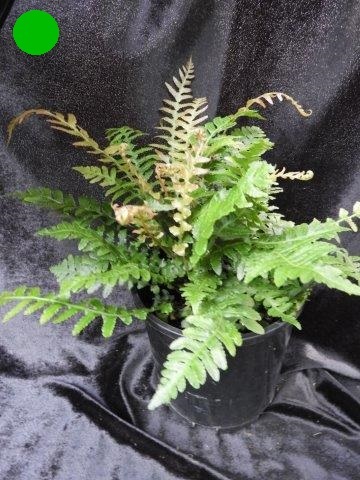 Originating in Asia this fern is very hardy with mature growth a dark green and new growth bright green. It will form large clumps in the garden that can be divided. Keep moist but not wet as this can cause rot in the sub-surface rhizome. 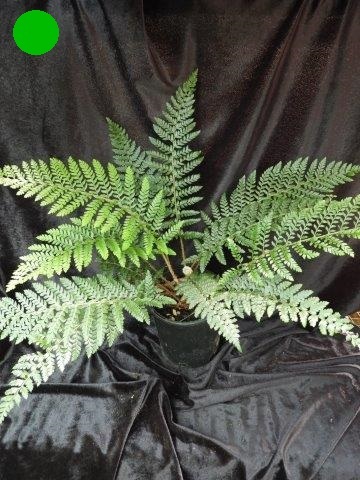 Australian native fern with leathery, glossy, dark green, ovoid fronds. Growing to 50cm. Suitable for baskets, vertical walls, indoors or outdoors in the garden. Enoys morning sun and a moist position. Is also a good indicator fern for altering you to when plants need water. 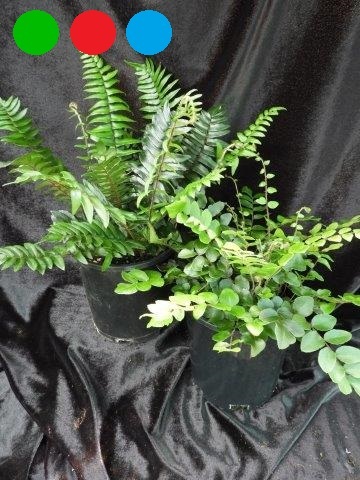 Australian native fern with small leathery glossy dark green fronds, growing to 20cm. Suitable for baskets, vertical walls, indoors or outdoors in the garden. New rowth is tinged pink/red. Enjoys morning light and a moist position. 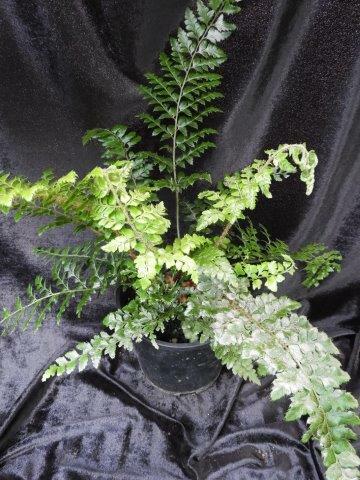 A New Zealand fern with small round leaflets of a dark glossy green. Growth to about 30cm. Easily grown in pots, baskets, vertical walls and in the garden. 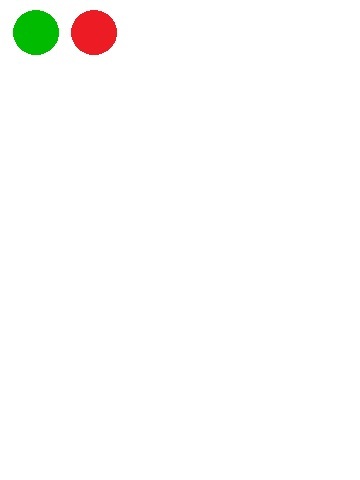 A smaller alternative to the Australian form. 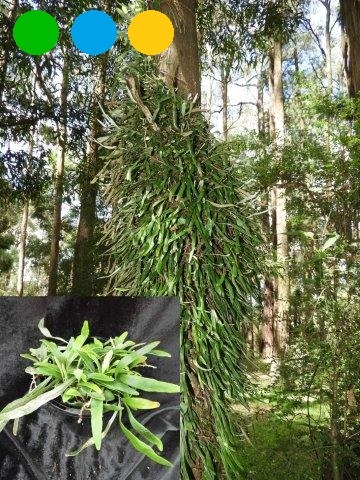 Australian native epiphytic fern. Naturally growing on trees and tree ferns or scrambling on the ground. A green, slightly hairy rhizome, Will climb up to cloak the trunk of tree ferns. It can also be planted amongst rocks or along edges where it will wander between and around plants. A more erect leaf form than the Microsorum it has larger segments to the fronds and the spore caps form in round ‘pustules’ causing regular bumps on the margins of the frond. 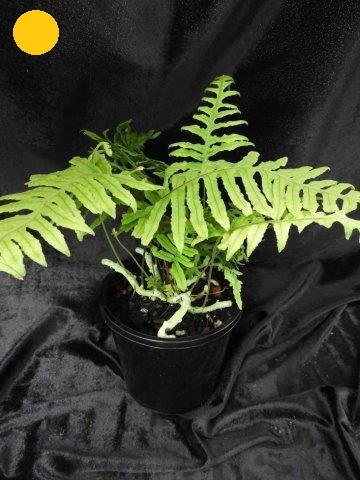 This unusual and rare fern is not difficult to grow with a little protection. Light green frond stems shoot from a powdery green surface rhizome. This fern can be semi deciduous in Winter exposing the rhizome and the black marks left by the falling fronds, with the aerial roots and marks giving it the appearance of a caterpillar. Suitable for hanging baskets and ferneries. 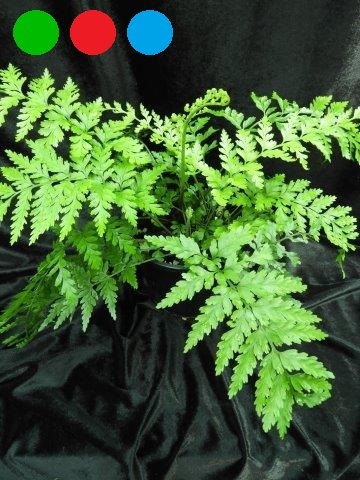 A widely distributed fern throughout Asia and Europe. This fern has widely lobed erect fronds. 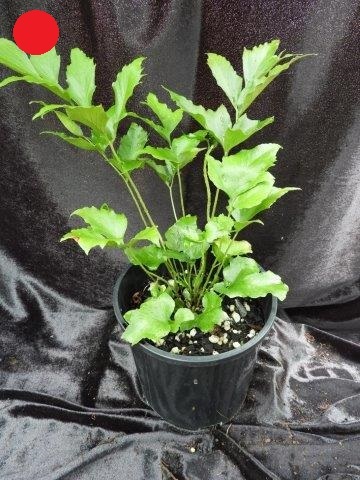 A slow scrambling fern that is ideally suited to baskets and rockeries in shady or filtered light. 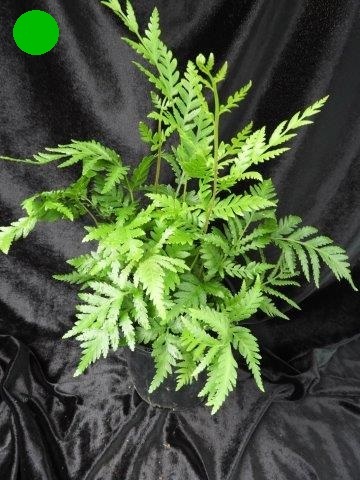 Australian native fern with dark green foliage. 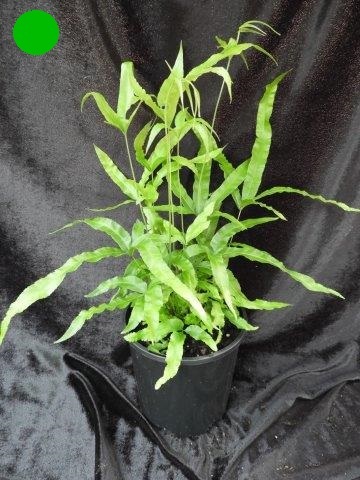 This fern forms a rosette of long green fronds up to 1 mtr with plantlets occurring on the frond margins. These plantlets can weight the frond to the ground to colonise the area around the parent plant. Easily grown in shady to exposed positions with moist, humus soil. 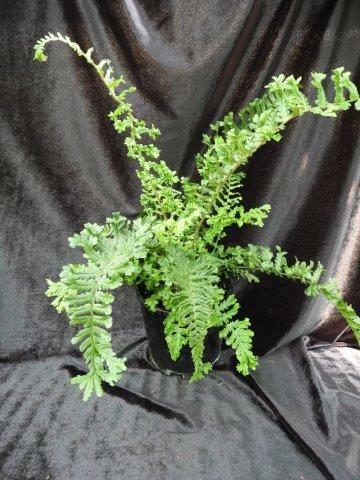 An Asian fern similar to Mother Shield fern. 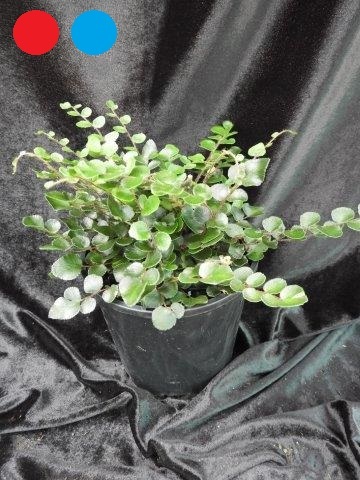 Growing to about 80cm it has abundant lime green soft growth in Spring and hardening to a dark glossy green with age. Hardy and versatile in the ground or in pots. 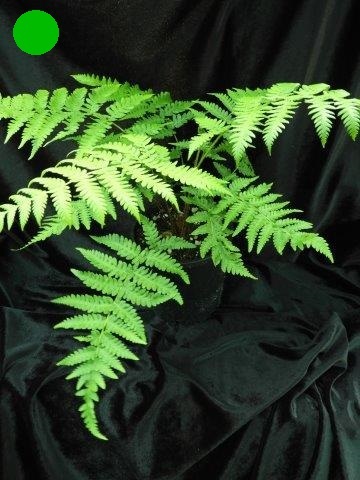 This fern is an Asian native with stiff leathery dark foliage. New growth can appear slightly purplish before hardening off to a dark glossy green. 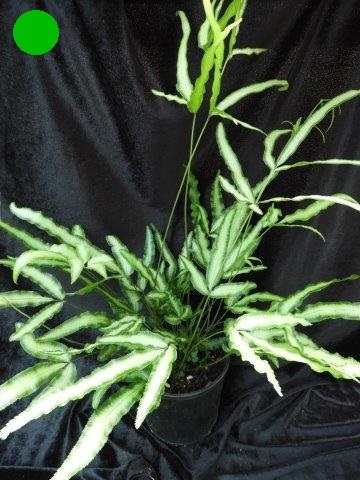 This is a tall growing fern with variegated white foliage. 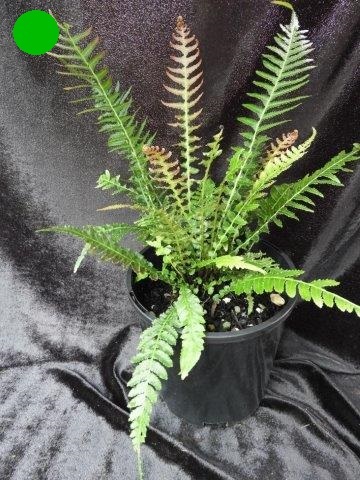 It is not the quickest grower within this group of ferns but certainly can add a highlight to your garden or fernery. Variegation can vary from a thin to a thick white stripe through the frond. Fertile fronds are taller and thinner than the non-fertile fronds. Suitable for vertical walls, pots and the garden. 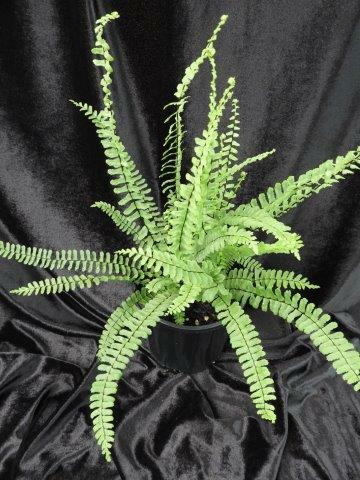 A beautiful South African fern with bright green finely divided fronds that remain somewhat cupped, forming a dense clump to 1mtr tall. Hardy and suited to a wide variety of growing conditions. Suitable for pots, tubs, baskets, vertical walls and the garden in filtered to very bright light. 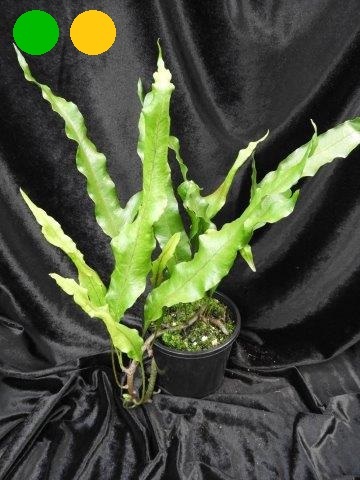 This Asian fern forms a neat clump of erect finely divided fronds to about 1mtr tall. Easily grown in filtered light with mid green, broad feathery foliage. Suitable in bright filtered light in moist, humus soil. Australian native fern similar to the Feathered Brake. Leaflets on this plant are narrower and a darker green, due to the abundance of spore produced it can pop up in other areas and is a very tough fern. It grows in a wide variety of conditions and once established it can grow in semi dry areas. For best results it requires bright filtered light and moist conditions. Australian native fern. 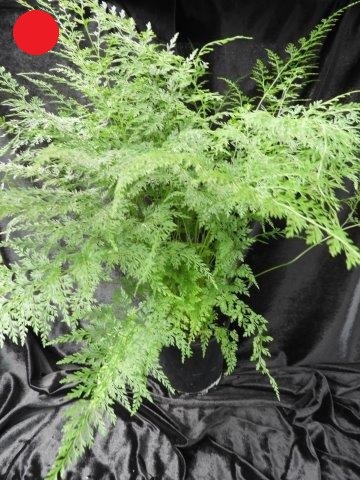 A very hardy densely clumping fern with attractive erect fronds growing to 1.5mtr high. Easily grown in shady conditions or bright filtered light. Suited to moist, humus soil. This Asian fern is a semi-epiphyte. Its habit is to grow in trees and over rocky embankments. It is a good ground cover on a narrow wandering rhizome. It is suitable on the side of coarse trees or tree ferns and in baskets. Be careful not to over water this fern. Australia native fern. 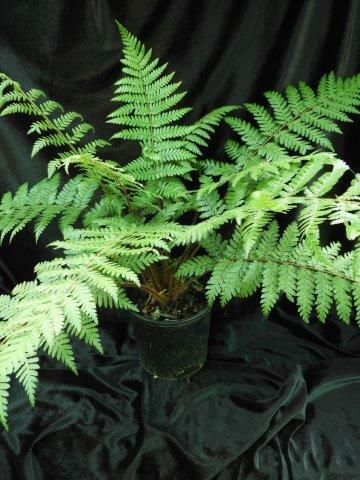 A hardy little fern easily established on suitable trees and tree ferns. It can also be grown in baskets and on mounts, particularly with native orchids. 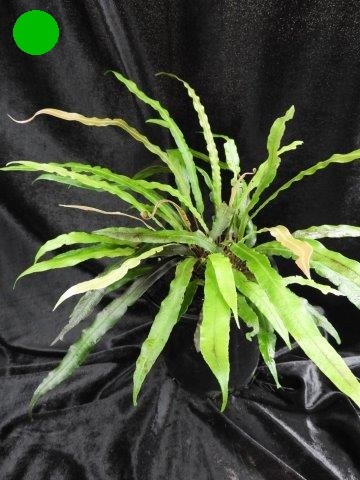 As an epiphyte it will tolerate some periods of dryness. It is best suited to filtered light with some humidity and good air movement. It creates a good ground cover. 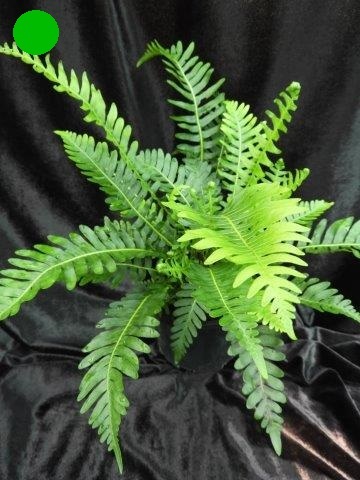 A hardy fern with shiny leathery fronds up to 1 mtr, that is often used in flower arrangements. This fern will tolerate poor soil and short periods of dryness. It has a slow creeping rhizome and will form large clumps. Australian native fern with erect leathery fronds up to 2mtr tall. Old plants develop a tree fern like short trunk and can develop multiple crowns. 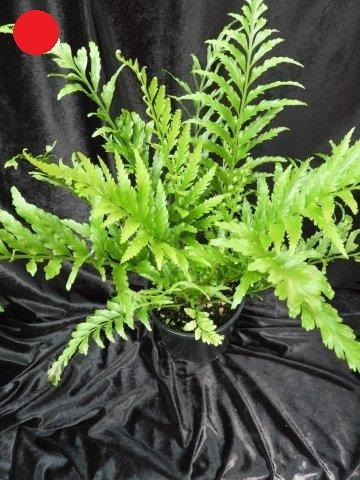 This fern will grow in shady to exposed positions with good moisture. In its natural surroundings it usually grows alongside waterways. The underside of mature plants take on an orange glow with heavy spore development. An extremely slow growing fern. Club moss is a great ground cover for your fernery or shady garden. It can be divided into smaller clumps and placed through the area and allowed to grow to assist with moisture and humidity content. It will grow and spread to form a ‘carpet’ linking plants together. Grown in green and gold forms this plant is now often used in terrariums. Baby’s Tears is a great ground cover for your fernery. 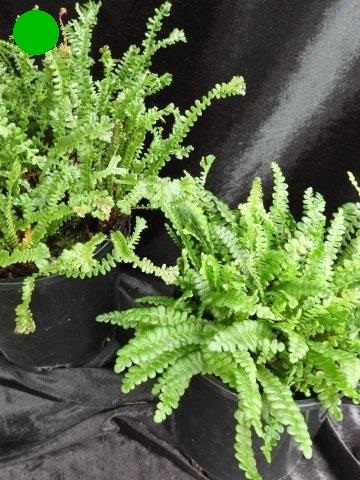 It can be divided into small clumps and placed throughout the fernery and allowed to grow and assist with the moisture and humidity content. It will grow and spread and scramble and form a ‘carpet’ linking plants together. Green and gold forms available.